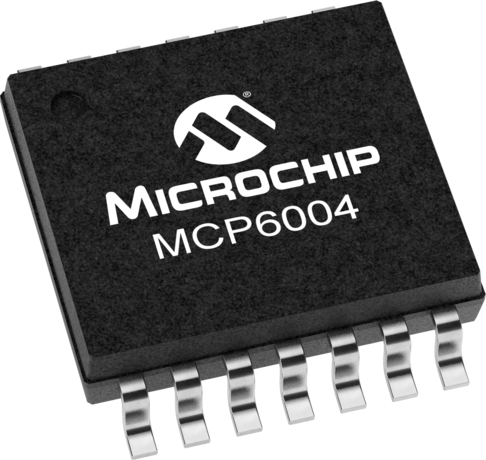 The MCP6004 is a quad general purpose op amp offering rail-to-rail input and output over the 1.8 to 6V operating range. This amplifier has a typical GBWP of 1 MHz with typical quiescent current of 100 microamperes. The MCP6004 is available in 14-lead PDIP, SOIC and TSSOP packages.